North 58° is an RYA training centre, providing the highest level marine training to the commercial sector. 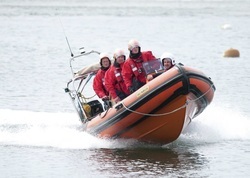 Working with several organisations in the past, including: British Waterways, SEPA, Highland and Islands Airports, Wood Group, Scottish Natural Heritage, Aberdeen University, Moray Inshore Rescue Organisation, and Marine Scotland, North 58° Marine maintains a high level of training for the commercial sector. We provide all the courses required to obtain commercial endorsements in order to use your experience and qualifications in the commercial marine environment. Specialist short courses- VHF (SRC), First Aid, Sea Survival (RYA/MCA), Radar and Professional Practices and Responsibilities (PPR). Life jacket awareness training. Please contact us for further information and to discuss your training needs.